Monday 23 May 1960 marked the official opening of Tasmania’s first TV station, TVT6 in Hobart – the culmination of over a decade of planning which started when the station was formed in 1950 in a board room at Hobart radio station 7HO. The launch of TVT6 meant that every Australian state now had at least one television station – marking the completion of the second stage of the introduction of television in Australia. The station’s opening night schedule started with a test pattern at 7.00pm followed by the Official Opening by Tasmanian governor Lord Rowallan (pictured) at 7.30pm and a news bulletin read by news editor Gordon Leed. American programs made up the rest of the opening night’s line-up – Dennis The Menace at 8.00pm, I Love Lucy at 8.30pm, Maverick at 9.00pm, and The Eddie Cantor Comedy Theatre at 10.00pm completed the night’s programs. The opening night’s proceedings were based at TVT6’s headquarters in the suburb of New Town and were viewed by thousands of viewers around Hobart and surrounding areas, often with large groups of people viewing through shop windows on a cold Hobart winter night. More than 350 guests, including prominent Tasmanian government and business identities (including Lady Rowallan, pictured) and representatives of mainland television stations HSV7, GTV9 and NWS9, were in attendance at a special reception at Wrest Point Hotel and viewed the event on TV screens positioned around the hotel’s spacious dining rooms. TVT6 also sent out a greeting to its counterparts at ABC, which was due to open its Hobart station – ABT2 – in two weeks’ time. The station also acknowledged the assistance of existing television stations on the mainland – in particular Perth television station TVW7 which had commenced transmission only seven months earlier. TVT6 also received messages of congratulations and best wishes from overseas stars including Lucille Ball, Raymond Burr (who, as Perry Mason, said “I promise never to lose a case in Hobart. Much success in your new endeavour.”) and Perry Como. TVT6 continued as Hobart and Southern Tasmania’s only commercial TV station for over 30 years – and it would be another 25 years before Hobart got a third television station, SBS, in 1986. TVT6 also increased its signal through Southern Tasmania with the installation of translator stations TVT8 (Bicheno, Queenstown/Zeehan, Strahan) and TVT10 (Rosebery). 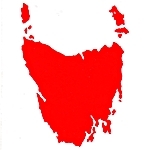 During the 1980s TVT6 had fallen under common ownership with the Northern Tasmanian station, TNT9, and both stations were branded on-air as TAS TV, and for several years maintained a standard schedule across both channels, covering most of the entire State. 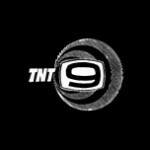 In 1988, TNT9 was sold off to Tricom Corporation, the company which later formed the Southern Cross Network, leading to TNT9 splitting from the TAS TV partnership. TVT6 also won a number of TV Week Logie awards – when State-based categories were included – for its presenters and programs, including Graeme Smith, Trevor Sutton, Bert Taylor, Tom Payne, Ron Christie, Robyn Martin, KTV and Tasmania Today. On 30 April 1994, TVT6 (TAS TV) and TNT9 (Southern Cross Network) took part in the statewide aggregation of their respective signals – giving Tasmanian viewers a choice of two commercial channels for the first time. TAS TV, which had ties to Victorian regional network VIC TV, became an affiliate of the Nine Network, while Southern Cross struck up joint affiliation to both Seven and Ten networks. In October 1994, TAS TV and VIC TV were sold to NSW-based regional network WIN Corporation, which already owned Nine Network regional affiliates in New South Wales, Queensland and the Australian Capital Territory. As a result the TAS TV and VIC TV identities were replaced with the WIN branding. 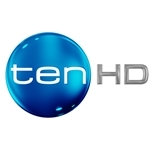 WIN and Southern Cross Television later became joint venture owners in the Tasmanian-based digital channel, TDT, which commenced transmission on 1 January 2004. WIN still has an amount of local production based in Hobart, specifically the nightly WIN News, read by Anna McMahon, a Tasmanian who worked in her early career at TAS TV and for many years on the mainland for the Ten and Nine networks and recently returned to Tasmania to join WIN. Source: The Mercury, 23 May 1960 and 24 May 1960. Australian Television Information Archive, Australian TV Archive.